The creamy taste of Vitasoy Coconut Milk Unsweetened works wonders in curries and banana breads – and it’s just as tempting by the glass! 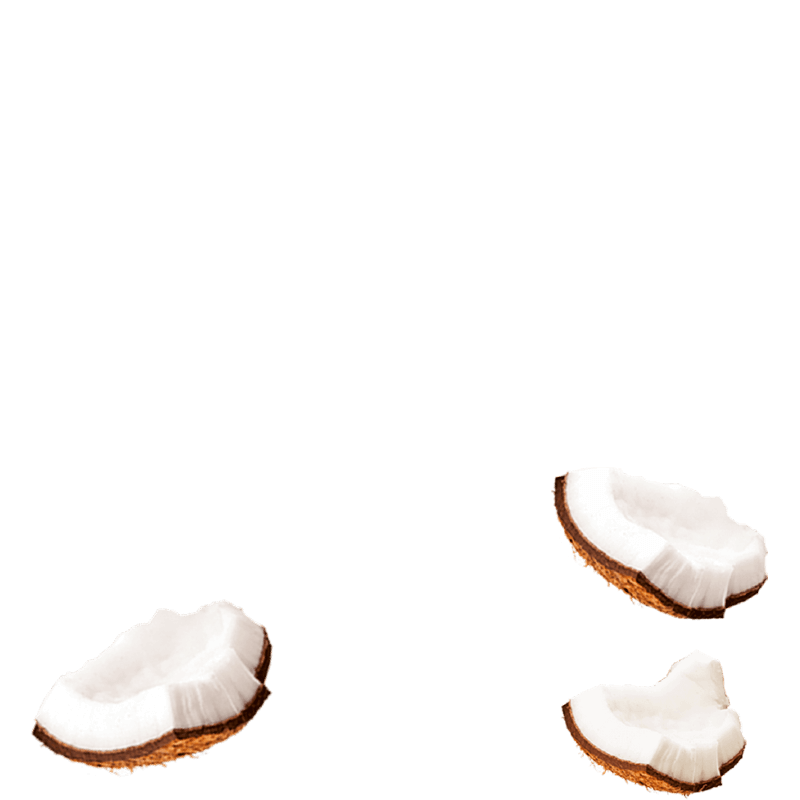 Made from real coconut cream sourced from coconuts grown all year round in sunny climates, Vitasoy Coconut Milk Unsweetened contains the goodness of calcium in every serving~. It’s naturally free from dairy, lactose, gluten and soy. Plus there’s no added sugar, artificial colours, flavours or preservatives. So when it comes to that creamy tropical taste, you can savour every sip. # Recommended Dietary Intake . 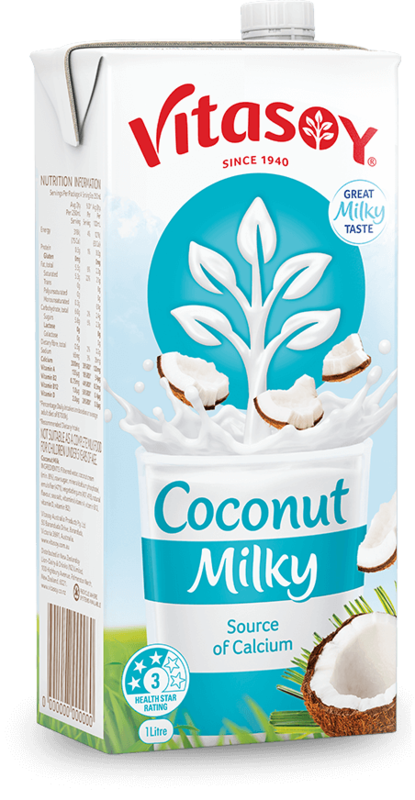 Find your Vitasoy Coconut Milk Unsweetened nestled in the long-life aisle, amongst the other UHT and plant milks. 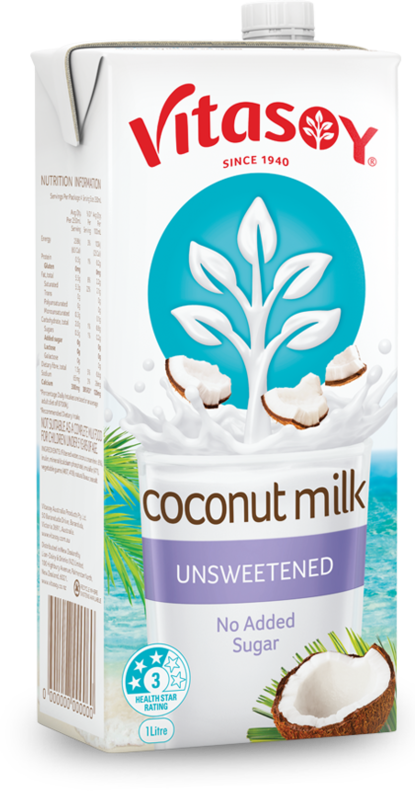 Ingredients: Filtered water, coconut cream (min. 8%), inulin, mineral (calcium, phosphate), emulsifier (471), vegetable gum (407, 418), natural flavours, sea salt.